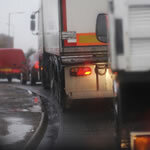 Were You Hurt in One of the Most Common Types of Truck Accidents? Rollover Accidents: There are several scenarios that can result in a rollover truck collision. Fast speeds, steep inclines or steep declines, tripping on a curb or another object on the road, taking a curve too fast or trying to correct a trailer that has drifted off the road. Jackknife Accidents: A jackknife accident happens when the tractor trailers drive axle brakes lock up, causing the trailer to skid. The trailer only stops after it forms a 90 degree angle with the tractor. 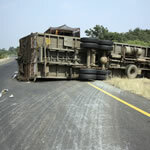 While a truck is jackknifing, the truck driver has no control and often results in a rollover accident. 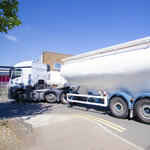 Underride Accidents: Underride accidents are an extension of truck rear-end collisions. Underride accidents, one of the most dangerous and fatal types of truck accidents, happen when a smaller vehicle hits the back of a truck that is near the same level as the top of the vehicle, causing the car to go underneath the rear trailer. Rear-End Collisions: The heavier a truck is, the more distance they require to stop. When either a car or truck driver fails to realize how much distance is needed, the risk of a rear-end collision increases. The stopping distance for an 80,000 pound truck that is driving at 60 mph is 426 feet. 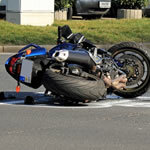 Truck vs. Motorcycle Accidents: Trucks and motorcycles have difficulty sharing the road for several reasons, including truck blind spots, the size of the motorcycle and the weight of the truck. 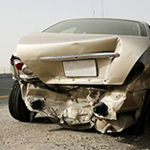 These accidents are typically serious and very often end in fatality. Truck Driver DUI: Driving under the influence of drugs or alcohol is illegal for any motorist, but truckers have an additional responsibility to operate their vehicle safely and without the use of drugs or alcohol. Unfortunately, many truckers resort to DUI while en route to their delivery location. Road Construction: Work zones and road construction present serious hazards. If a truck driver is unable to maneuver their rig or is behaving negligently, an accident in a road construction zone can cause injury or death to other motorists or those working along the side of the road. Brake Failure Accidents: Brake failure accidents can happen due to age of the brakes, improper installation or poor maintenance. Overheating happens from overuse or sudden stopping at high speeds. 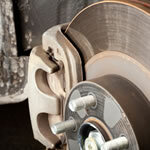 The heavier the truck, the more heat that is generated, and the higher the risk of truck brake failure. Improper Braking Technique: Truck drivers are trained to apply their brakes in a way that will reduce their speed by approximately 5 to 6 mph with every application, according to Technical Services. Proper braking technique will help preserve a trucks brakes and prevent a dangerous runaway truck. 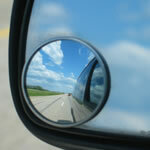 Blind Spot/ No Zone Accidents: Blind spots are an issue on any vehicle, but due to the size of many commercial trucks, they have larger blind spots known as No Zone areas along the rear and sides of the truck. A good rule of thumb is that the larger the truck, the larger the blind spot. Drivers of passenger vehicles are advised to avoid a trucks No Zone. Squeeze-Play and Wide Turn Accidents: Also known as a swinging turn crash, squeeze-play accidents happen when a truck needs to make a turn. When a truck needs to make a right turn, the driver will typically swing left in order to make the turn. The truck may “squeeze” cars in its No Zone between it and the curb. 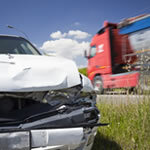 At The Edwards Law Firm, we believe that you deserve both compassion and compensation for your truck accident injuries. Our truck accident attorneys offer a no-obligation consultation to victims throughout Oklahoma, Texas and Arkansas. We can guide you on the best course of legal action, and we will always fight for the MAXIMUM amount of compensation. Whether your accident involved a FedEx vehicle or a massive 18-wheeler semi, we understand what you are going through, and we take our obligation to fight for your justice very seriously.